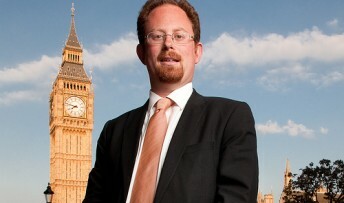 Naming and shaming young people served with injunctions – the new replacement for ASBOs – is likely to hinder their chances to turn their lives around, Cambridge MP Julian Huppert has warned. He urged Parliament to give judges the right clarification on the law so that young people are named only in exceptional circumstances. Julian was speaking out in the House of Commons as MPs discussed the Anti-Social Behaviour, Crime and Policing Bill during its Second Reading. The legislation replaces Anti-Social Behaviour Orders – which have too often not been taken seriously – with a new approach, called an Injunction to Prevent Nuisance and Annoyance, IPNA. Julian was concerned that part of the new legislation could over-ride restrictions on reporting court proceedings involving young people. “That goes against the presumption of anonymity for children in criminal proceedings and is likely to hinder their successful rehabilitation, particularly in this age where people can say things online which can stay with people forever,” he said. “We want a chance for a young person who made an error at 14 to be able to have that removed very quickly so that they do not suffer for it for the rest of their lives. He welcomed the fact that the government did not intend a “blanket naming and shaming of young people” but wants to make sure judges name and shame “rarely and sparingly when there is a good case for doing so”. “We have to ensure that the right guidance is in place, so that the provisions are used only when they have to be,” he said. Later Julian said: “I don’t want to see a situation where young people, who made a mistake as children, are forced to carry that mistake with them into their adult lives.